FinishMaster supplies paint and refinishing products to automotive dealerships, collision repair centres and fleet operators, mostly in the United States right now. Québec-based Uni-Select, owner of Canada’s largest suppliers of automotive refinish and industrial paint, has expanded its reach in Ontario with the acquisition of Guelph Paint and Bumper in Guelph, Ont. FinishMaster Canada Inc., a subsidiary of Uni-Select, officially acquired the Ontario company Oct. 5. Guelph Paint and Bumper is a leading distributor of auto body supplies, automotive paint refinish and other related products in Guelph. FinishMaster was already a well-known and established distributor of paint and related materials in the U.S. when Uni-Select announced in September that it intended to bring the brand to Canada, as well. Parent company Uni-Select already supplies more than two million replacement parts in the auto industry, including OEM products, national and private brands and parts for import nameplates. FinishMaster, meanwhile, supplies paint and refinishing products to automotive dealerships, collision repair centres and fleet operators, mostly in the United States right now. Uni-Select announced in September its plans to expand FinishMaster into Ontario. Guelph Paint and Bumper will be re-branded to the FinishMaster brand in the coming weeks. The acquisition of Guelph Paint and Bumper broadens Uni-Select’s presence in the Ontario market, a news release said. “This acquisition is in-line with our strategy to open or convert additional Canadian stores under the FinishMaster brand,” Uni-Select Inc. President and CEO Henry Buckley said in a statement. 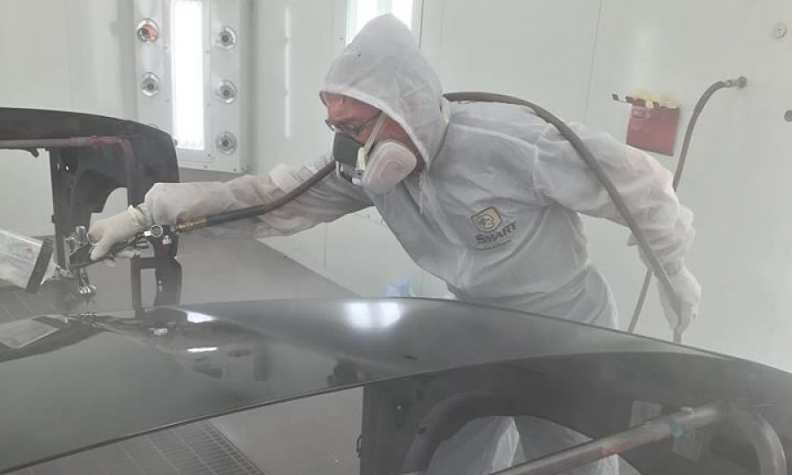 In the U.S., Uni-Select, through its wholly-owned subsidiary FinishMaster, Inc., already operates a national network of automotive refinish corporate stores under the FinishMaster banner and supports more than 6,000 collision repair centre customers. In Canada, Uni-Select supports and supplies more than 3,900 shops and stores through a network of more than 1,150 independent customers, many of which are operating under Uni-Select store banner programs, and corporate stores.